If you are interested in Ashton Pioneer Homes, our local area and partners, you may find the website links in this section useful. We’ve conveniently arranged our links by topic, which you can access below. Local Authority profile of the town. An independent web site with lots of information about Ashton-under-Lyne. For information about the range of retail attractions, Ashton’s indoor and outdoor markets and leisure opportunities within the town. The official website for GM police in Ashton-u-Lyne. Get the local weather forecast for Ashton-u-Lyne and any location in the world. St Petersfield is a dynamic business quarter that provides a new gateway to the town centre of Ashton. Starting in Henry Square the development stretches along Old Street leading occupiers to the retail centre of this historic market town. Independent and national retailers along with food operators are all within a short walk as are regular rail and bus connections. Furthermore St Petersfield benefits from open spaces, ample car parking and is within half a mile of Junction 23 of the M60 motorway. A gateway to the east … In partnership with Stayley Developments, Muse is developing Ashton Moss on a strategically important site on the western edge of Ashton under Lyne. Located off junction 23 of the M60, this 81 hectare development offers 1.4 million square feet of high quality commercial, retail and leisure accommodation. Established through voluntary stock transfer in 1999, Ashton Pioneer Homes (APH) has quickly developed to become the leading community based Housing Association in the Tameside area. Thinking of renting in Tameside? This site gives you access to nine of the largest Landlords in the area and to a range of privately rented properties. New Charter Housing Trust Group is a social landlord owning over 18,000 homes. We have a turnover of £90 million and a workforce of 800 people. The Group consists of New Charter Homes, based in the Greater Manchester area, Gedling Homes in Nottingham and Aksa Homes in Oldham. St Peter’s Partnerships is a registered charity which provides support and services within the St Peter’s ward of Ashton-under-Lyne, in Greater Manchester. In addition to their charitable activities, they operate a trading arm which comprises of a number of not-for profit businesses. Not only do their trading activities link into the aims and objectives of their charitable projects, but all profits are either reinvested in the business, or donated to the charity to support further community-based activities. Groundwork works with its partners to improve the quality of the local environment, the lives of local people and the success of local economies in areas in need of investment and support. Our work embraces urban regeneration, land reclamation, youth work, education, employment programmes, business support and community development work. For people: creating opportunities for people to learn new skills and take local action; For places: creating better, safer and healthier neighbourhoods; For prosperity: helping businesses and individuals fulfil their potential. “An excellent council” – Audit commission. Offers multi-agency solutions to a range of community-wide economic, social and environmental issues. They bring together a diverse set of partners from the public, private, voluntary and community sectors to agree key aims, objectives and priorities for their local area and people. Information about the main benefits tenants may be eligible to claim. The Housing Options team in Tameside can help you with your housing problems and give you information on a wide range of issues. Search for Job centres in the Tameside area. Have you got money problems? Confused by all the adverts offering loans? Baffled by the small print? Don’t know where to get the right advice? MINT has been set up by a number of organisations in the Tameside area. We are all concerned that everybody living in the area knows where to get proper advice on financial matters. These range from having access to the right type of financial services or to courses which can help people manage their money. The Citizens Advice service helps people resolve their legal, money and other problems by providing free information and advice from nearly 3,400 locations, and by influencing policymakers. The online CAB service that provides independent advice on your rights with practical, reliable, up-to-date information on a wide range of topics, including benefits, housing, employment and debt, consumer and legal issues. Details of reliable sources of advice if you need more help, including your local CAB and information in English, Welsh, Bengali, Gujarati, Punjabi, Urdu and Chinese. The Information Shop for Young People is part of a national network of “shops” initiated by the National Youth Agency. It provides a free and confidential information, advice and support service for young people aged between 14 and 25 in the Tameside area. Go here to search the official database of Sure Start children’s centres in England. Sure Start Children’s Centres can provide early learning and full daycare for children under five. Sure Start Children’s Centres are open to all parents and children and many of the services are free. For everyone working with children and families. We are the national charity giving free and confidential help to victims of crime, witnesses, their family, friends and anyone else affected across England and Wales. We also speak out as a national voice for victims and witnesses and campaign for change. We are not a government agency or part of the police and you don’t have to report a crime to the police to get our help. You can call us any time after the crime has happened, whether it was yesterday, last week or several years ago. We have offices throughout England and Wales and we run the Witness Service in every criminal court. Call our Victim Supportline on 0845 30 30 900 to get help now. Everything you need to know about keeping wise, active and healthy as you get older. Age Concern and Help the Aged are now Age UK. This site offers information and advice for the elderly about benefits, care, age discrimination and computer courses. As the Society for the Prevention of Cruelty to Animals – the RSPCA has worked tirelessly to promote kindness and prevent cruelty to animals. The Homes and Communities Agency (HCA) is the non-departmental public body that funds new affordable housing in England and is responsible for regulation of social housing. We are an independent public body responsible for ensuring that public money is spent economically, efficiently, and effectively in the areas of local government, housing, health, criminal justice and fire and rescue services. 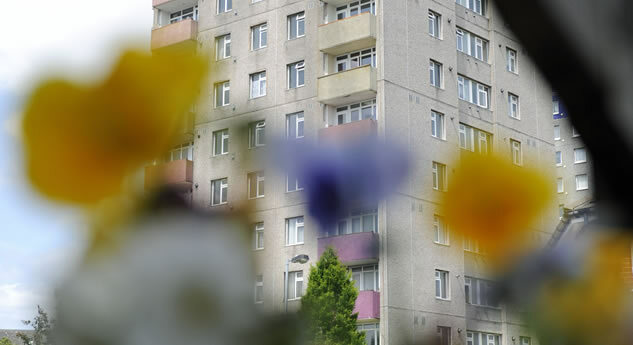 The National Housing Federation represents 1400 independent, not-for-profit housing associations in England and is the voice of affordable housing. Our members provide 2.5million affordable homes for 5 million people. The Chartered Institute of Housing (CIH) is the professional organisation for people who work in housing. The CIH is a registered charity and a non-profit making organisation. We have over 19,000 members who work predominantly in local authorities, housing associations and the private sector in the UK and Asian Pacific. Enjoys a powerful remit to promote community cohesion and equality, as well as responsibility for housing, urban regeneration, planning and local government. The Housing Ombudsman Service considers complaints against member organisations, and deals with other housing disputes but the complainant must complete the internal complaints procedure of the landlord or agent before the Ombudsman can intervene. We have a statutory remit to promote and monitor human rights; and to protect, enforce and promote equality across the nine “protected” grounds – age, disability, gender, race, religion and belief, pregnancy and maternity, marriage and civil partnership, sexual orientation and gender reassignment. Stonewall works with a whole range of agencies to address the needs of lesbians, gay men and bisexuals in the wider community. Where Tameside pupils achieve the highest standards not just of attainment but of behaviour, self-esteem and understanding of the world. Working in partnership to raise standards we will seek to provide a world-class education service, through innovation, partnership, clear strategies and shared objectives. Based in Ashton-under-Lyne, Greater Manchester, Tameside College is a further education college that offers a wide range of courses including Full-Time, Part-Time, Apprenticeships and University Level. We aim to give all our students an exceptional experience. We believe in excellence and we back that up with high standards, real working environments and great teaching. We also believe that attending college is about more than achieving a qualification, important though that is. That is why we aim to give every person the opportunity to develop their full potential in a supportive and friendly environment. Entertainment in and around Ashton. Fun and food for all the family. Located within walking distance of APH’s homes, Cineworld brings you the excitement of the big screen. Located adjacent to APH and close to the town centre of Ashton, the Witchwood works hard to support the local live music scene as well as being a much loved venue on the national circuit. We have hundreds of loyal regular customers of all types and ages and are an important part of the local nightlife for the town. We offer a unique variety of entertainment, great real ales, excellent service and a safe, friendly environment. We have some great bands coming in and a whole range of new club nights and events booking in. Guide Bridge Theatre, Audenshaw Road (just outside Ashton boundary). Guide Bridge Theatre is a popular and intimate 114-seat non-professional theatre, with a 70 year history. Our productions have been praised for their high standard, as well as being excellent value for money. The theatre is an exciting, friendly and vibrant place! Whether you are a regular patron or a new comer, you can be sure of a warm welcome! The first thing that you should know about us is that Droylsden Little Theatre is a Registered Charity (no. 259447); everything from the performing, to theatre maintenance, to this very website, is done on a voluntary basis. We perform six plays per year, from October to July, and then have a break over the summer. The Festival Theatre in Hyde, Greater Manchester is home to several amateur groups in the area whose combined efforts mean that in one season there can be as many as eleven or twelve productions ranging from drama to musicals, from dance to pantomime. One of the North-west’s premier theatres. ITV1 is the most popular commercial television channel in Britain, watched on average by 45 million people every week. It has the largest programme budget of any commercial channel in Europe, currently at around £1 billion, which is spent on a mixed genre schedule made up of a range of high quality programmes. The Channel 4 Television Corporation is a publicly owned not for profit broadcaster operating in the UK. Channel 5 is Britain’s last analogue, terrestrial network and has been on air since Easter 1997. It’s available to nearly 80% of the population. And it was the first terrestrial station also available on satellite. FREEVIEW is a free digital TV service offering over 30 TV channels and 20 radio stations for just a one-off payment and no contract. FREEVIEW is received through your normal rooftop aerial. The operator of the UK’s largest digital pay television platform and a leading broadcaster. http://www.tamesideradio.comServing the community of Tameside, the broadcasting philosophy of the station is to create a unique sound that will engage the community whilst utilising people with skills that are underused in main stream radio services. The Revolution covers all of Oldham, Rochdale, Tameside and Greater Manchester. That’s a potential audience of almost half a million people. Local radio for Greater Manchester – now available on the internet. Local music station – we have merged the power of the Internet and Radio to bring to you, our loyal listeners, new and fun ways to interact with KEY103, our on-air personalities, advertisers, news and more. You can listen to smooth music across the North West on 100.4 FM and DAB digital Radio. You can also hear us across Europe on Sky Channel 0128. Today, years after its launch, Classic FM remains true to its mission to bring classical music to the widest possible audience, no matter their age, background or location. The main aim of NHS England is to improve the health outcomes for people in England. We believe the new approach we are taking will really make a difference and deliver the improved health outcomes we all want to see. Central to our ambition is to place the patients and the public at the heart of everything we do. We are what we want the NHS to be – open, evidence-based and inclusive, to be transparent about the decisions we make, the way we operate and the impact we have. Tameside and Glossop Clinical Commissioning Group (CCG) exist to improve the health care of the local population. The main focus is to use the local knowledge of our GPs and their Practice teams to advance the way that health services are currently delivered, and help our patients to make full use of the services that are available. The CCG is made up of Tameside and Glossop GPs, who alongside other health colleagues are now responsible for commissioning (buying) health services across the area. This new responsibility for GPs comes as a result of the Governments health reforms which pledge to make the NHS more accountable to patients, free-up front line staff from excessive bureaucracy, and focus on clinical outcomes rather than targets. The Trust operates from the Tameside General Hospital site, which is situated in Ashton–under-Lyne. The hospital services a population of approximately 250,000 residing in the surrounding area of Tameside in Greater Manchester, and the town of Glossop in Derbyshire. Employing approximately 2,300 staff, the hospital provides the wide array of services one would associate with a general hospital. These services include general and specialist medicine, general and specialist surgery and full Consultant led obstetric and paediatric hospital services for women, children and babies. Pennine Care NHS Foundation Trust provides mental health and community services to people living in the boroughs of Bury, Oldham and Rochdale. We also provide mental health services in Stockport and Tameside and Glossop, as well as community services in Trafford. Our services are located in hospitals and in the community and work closely with local councils, NHS organisations and the community and voluntary sector. We provide a range of services for people who have serious mental illness such as schizophrenia and bipolar disorder, as well as more common mental health problems including depression, anxiety and dementia. Tameside, Oldham and Glossop Mind & Topaz Café is an innovative and dynamic organisation that provides helpful services that promote the well-being and improvement of the mental health of our clients. We have been around for over 30 years and our mission in life is to simply offer a service that’s best-in-class. We do this by providing a regularly refreshed and diverse range of activities and services that promote psychological and physical well-being, stimulating recovery and leading to people returning to a positive and active life in society and generally feeling much better. Restaurants in Ashton-Under-Lyne (take-away, delivery and eat in). New York Italian Restaurant on Ashton Moss. Welcome to Indian Ocean online Take Away – Tameside’s first online takeaway ordering system. We want each Nando’s restaurant to be individual reflecting the local characteristics of each area. Visit some of our restaurants and you will see that although they serve the same great chicken, each one has something unique. Located in Ashton’s Stamford Square, this restaurant, pizzeria and function suite serves good food in a relaxing environment. Links to individual local shops and services. Shopping complex adjacent to the outdoor market in the centre of Ashton – links to individual retailers. Enclosed shopping experience in the centre of Ashton – links to individual retailers. Tameside Sports Trust was established to run and manage swimming pools and sports centres in the Tameside area and is supported by Tameside MBC. The Trust is a registered charity (registration number 1074808) and a ‘not for profit’ organisation which means that any surplus income (or profit) must be put back into the facilities and services that it provides. Cobra self-defence classes from 3 years old held in St John Ambulance building, Zetland Street, Dukinfield for all ages and abilities, karate, kick boxing and ju-jitsu. The club operates two senior teams in the Central Lancashire League & three junior teams of which the Under 13’s & Under 15’s are in the CLL and the Under 17’s in the Saddleworth League. Organised coaching takes place for the juniors on Monday & Tuesday evenings at 6pm and the senior teams practice on Thursdays from 6pm. Celebrating its centenary in 2013, the club boasts a challenging but enjoyable 18 holes over a total of 5338 yards. The official site with news, club information, fixtures, tables, live commentary, hospitality, tickets, statistics, the stadium, and a fans zone etc. The official club website with news, club information, fixtures, tables, live commentary, hospitality, tickets, statistics, the stadium etc. The official site direct from Edgeley Park. Providing football in the area and opportunities for participants, from age seven upwards. Whether you are bowling for fun with the family or looking for a great time out with friends, Hollywood bowl offers an experience for everyone. Whether you are bowling for fun with the family or looking for a great time out with friends, Hollywood bowl offers an experience for everyone. At St Peter’s Youth we have one simple aim: to improve the life chances of young people in the St Peter’s ward of Ashton. We do this by providing a wide range of free activities and training which meet the needs of local children, young people and their families. These activities take place 7 days a week, and include youth clubs, sports, and outdoor pursuits such as climbing. We offer training and qualifications to compliment all these activities.